Whether you’re looking for contemporary calibers or a couple of classics, our American Eagle® line has what you're looking for. 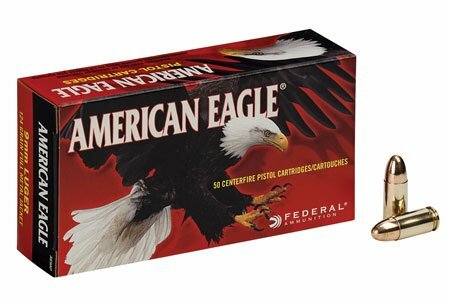 Loaded with clean-burning powders, Federal grade primers and brass, and a choice of bullet styles, shooters know they get quality and affordability with American Eagle. Many of these practice loads offer ballistic qualities comparable to our Premium® Personal Defense® rounds. Bullet styles include: FMJ, JSP, FMJ FP, JHP and LRN.